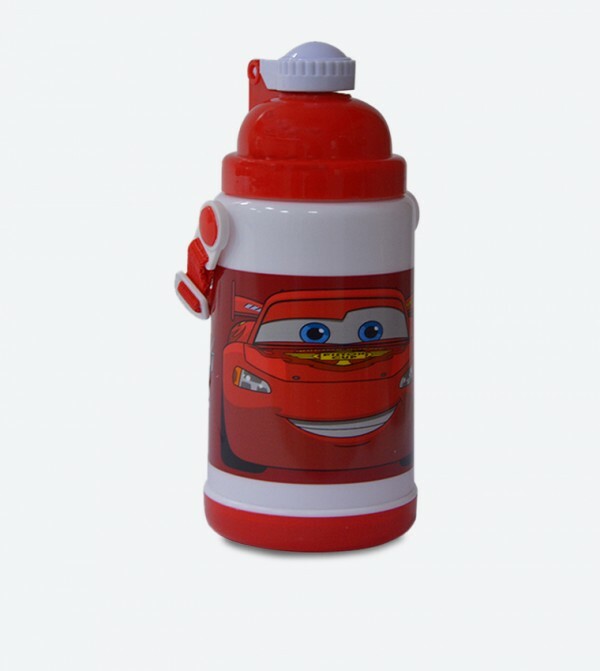 This red colored sipper bottle is ideal for kids. It is BPA free and food grade. It keeps the water colder for a good duration. All over character design with car printing makes it more special and looks amazing. 100 percent BPA free and food grade. Wash thoroughly before first use. Not intended for use with hot beverages. It is easy to carry.